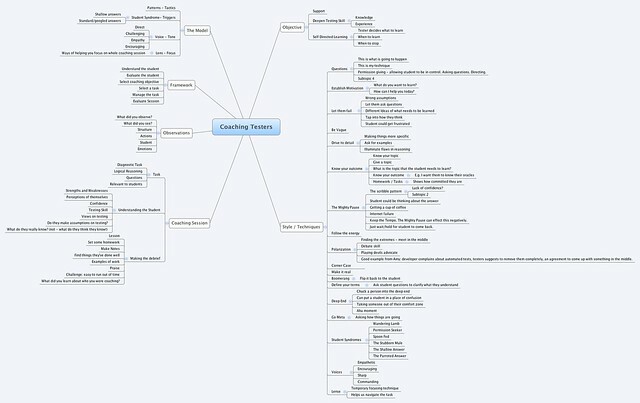 I went on the Coaching Testers course with Anne-Marie Charrett and used a MindMap to make notes. Here it is. Might not make much sense to everyone, but goes to show how much is involved in the process of coaching testers!